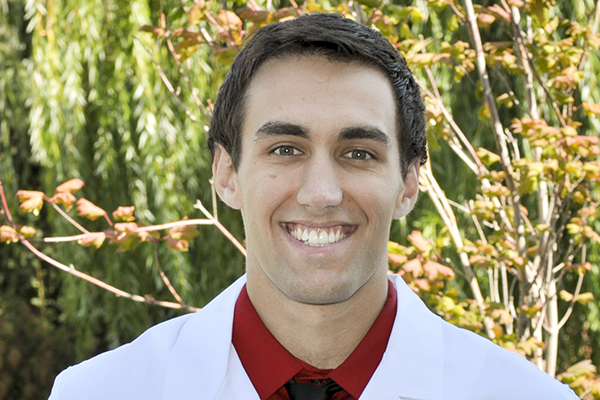 SPOKANE, Wash. — Student pharmacist David Bunch has been appointed to the American Pharmacist Association – Academy of Student Pharmacists’ (APhA-ASP) Policy Standing Committee. In this advocacy role, Bunch will spend the next year serving as “a voice of the profession,” representing APhA-ASP members and student pharmacists to legislators about important pharmacy and health care issues. His duties include helping classmates stay up to date on current legislative and regulatory pharmacy‐related issues in order to have a positive impact on the pharmacy profession. “This is a big honor for me to be one of the four student pharmacists to serve on the APhA-ASP Policy Standing Committee,” Bunch said. There are five National Standing Committees within APhA-ASP, and each committee has only four members. Bunch’s appointment runs from March 2018 to March 2019. As a committee member he attended the April leadership meeting in Washington, D.C., and participates in monthly conference calls with the rest of the committee and the APhA-ASP Speaker of the House. The committee has the opportunity to recommend policy issues for consideration to the APhA Policy Committee and represent the interest of student pharmacists to the APhA. “I am incredibly grateful for the support of WSU College of Pharmacy and its faculty, for without them I would not be the accomplished leader I am today,” Bunch said. Bunch is from Oak Harbor, Washington. He completed his undergraduate coursework at Whitworth University in Spokane. After graduation, Bunch plans to pursue a postgraduate pharmacy residency and is considering a specialty in infectious disease or ambulatory care, but has not made a final decision yet, he said. WSU College of Pharmacy and Pharmaceutical Sciences has a longstanding reputation of developing outstanding health care professionals and leaders in pharmacy. This is just one example of how the college is preparing the pharmacists of the future who will lead tomorrow’s health care solutions through innovation, collaboration and advocacy. This is the second year in a row that WSU is represented within the APhA-ASP National Standing Committees. Last year, WSU 2018 graduate Natalie Tucker served on the Communications Standing Committee.